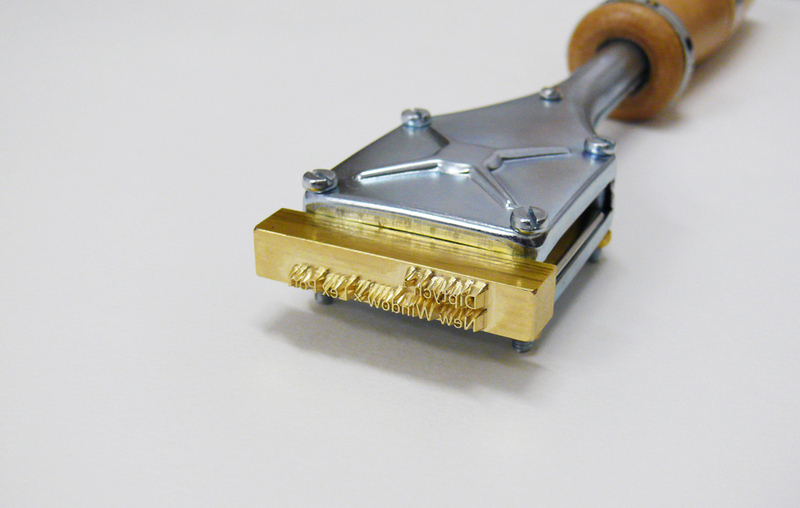 To mark every product of the Diptych series, we had a stamp developed. Not only does it name the collaboration between New Window and Lex, it also numbers the tree from which the object in question came from. 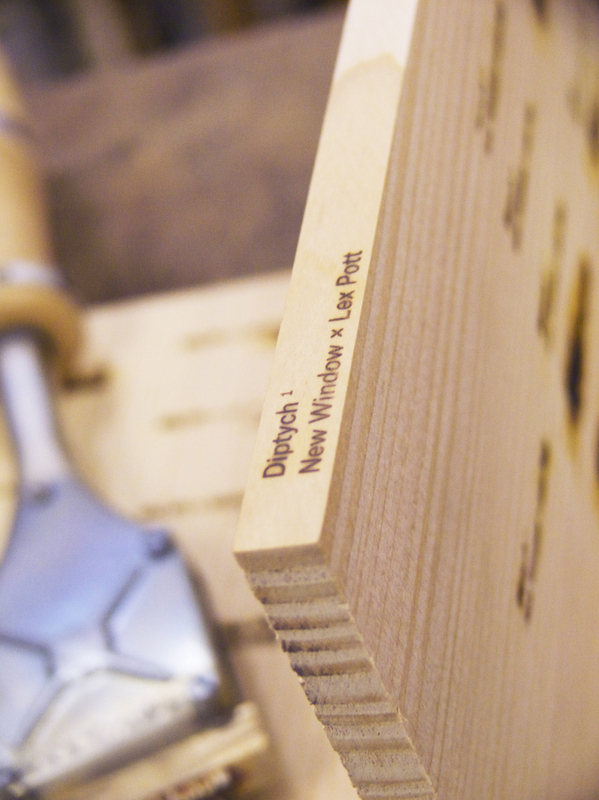 For now, we’ve only used one tree, so the stamp reads ‘Diptych ¹’. In the future, when more trees are added, the number will be altered with every new edition, just like in book printing. 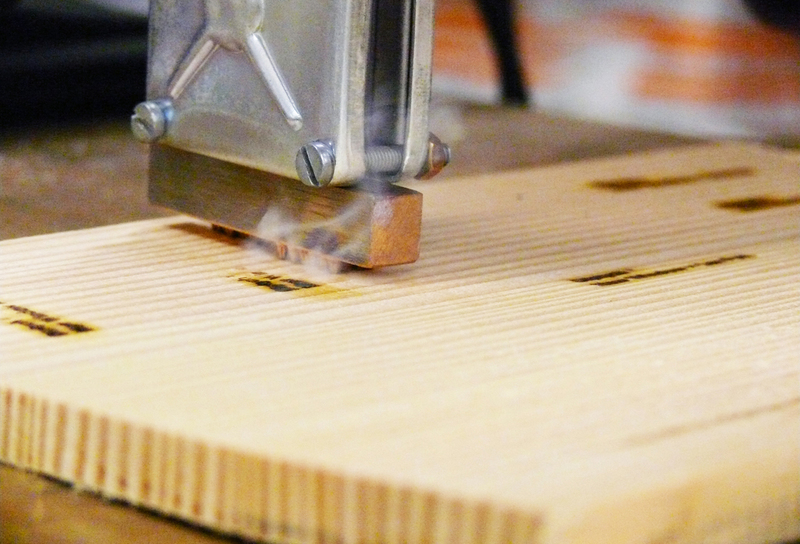 The stamp is heated through electricity (and not held in fire like in the old days). To adjust the heat in order for the stamp not to burn too hard and to create a clear, readable text, we had to add a voltage regulator. As always: learning by doing.